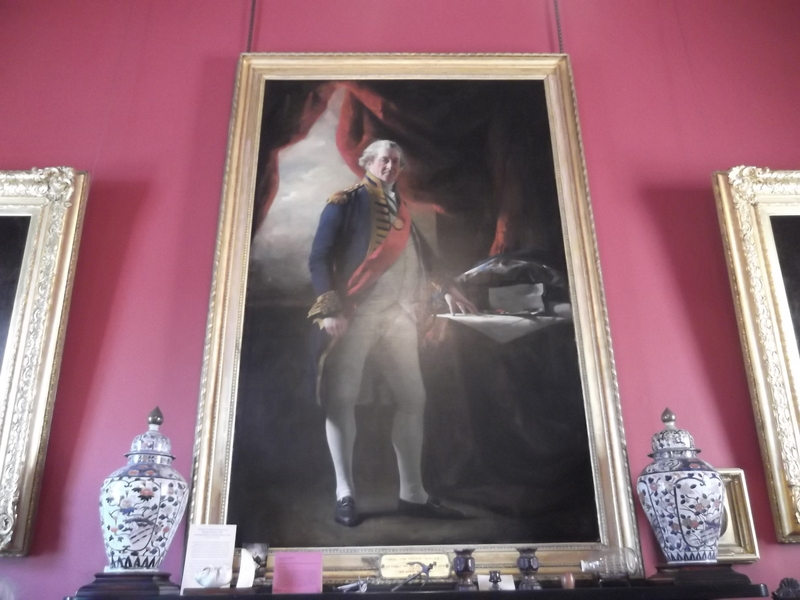 I took Trafalgar Day off to run south again – part midterm break and part pilgrimage. And I had a lovely break, looking at the sea from the train and dancing and meeting friends and going right round the metro loop. But the pilgrimage is what matters here, and it started in St Nicholas’s Cathedral on Wednesday morning, at the memorial service there. This was a very English-looking event – very impressive, but slightly foreign to me – with the mayor in red robes, and the minister in full dress, and assorted attendants with pointy sticks and so on, as well as the people in uniform. 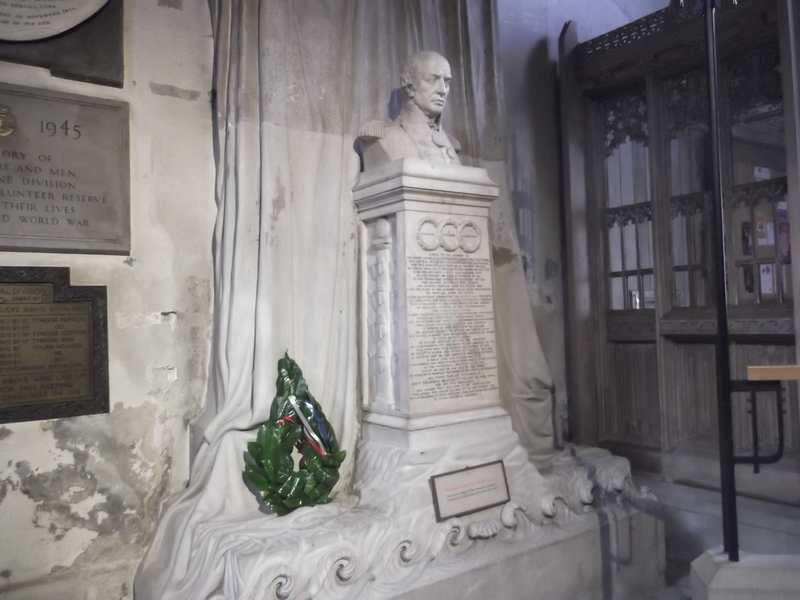 And then there was quiet again, and the new wreath on the monument. 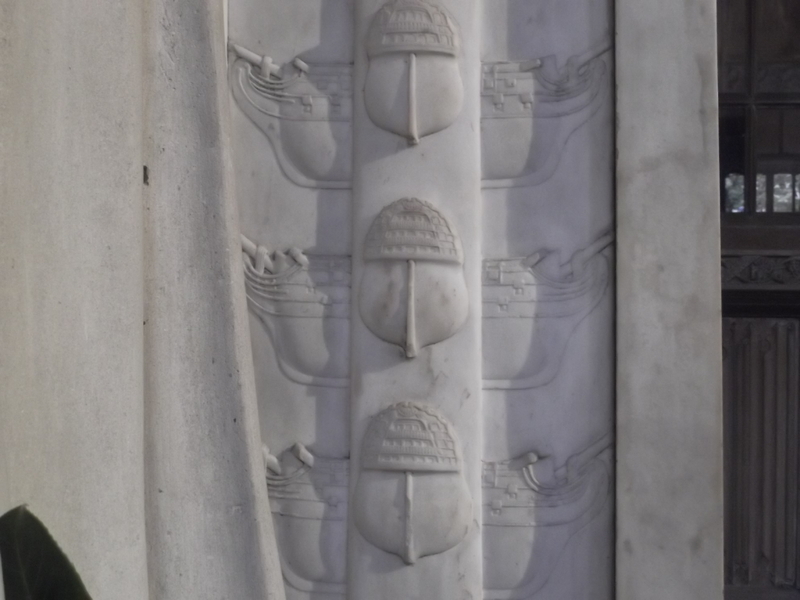 This is my favourite bit of the monument, on the side – every time I look at it I think ‘ooh, acorns, no, ships!’. I don’t suppose that was deliberate, but I do like them. From there I headed out to Tynemouth, past another of my small favourite Newcastle things, the artwork in the Central Station metro. They’re all wonderful, but this is my favourite, for obvious reasons! 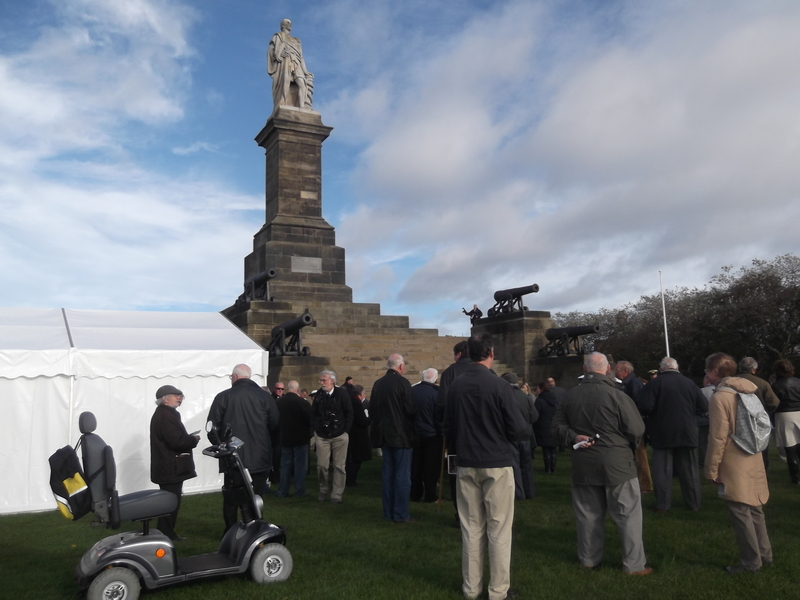 At Tynemouth the crowd was gathering round the monument. I’ve been here a few times, but not last year, I don’t think (I used my October day off to go to the College Valley instead). The tent contains the people who were handing out the beer and rum for the toast! 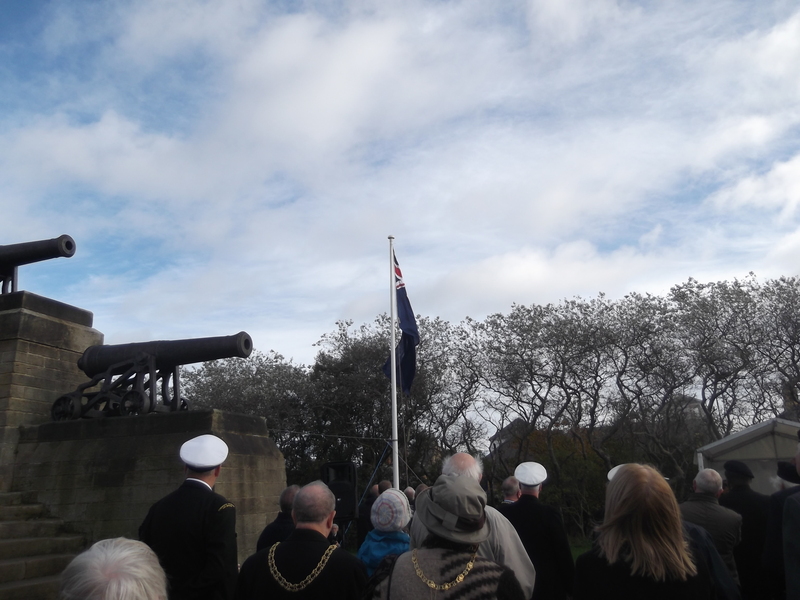 The first part of the the event is the flag-raising, carried out by the Marine Support & Training Service – the blue ensign because Collingwood was Vice-Admiral of the Blue at the time of Trafalgar. 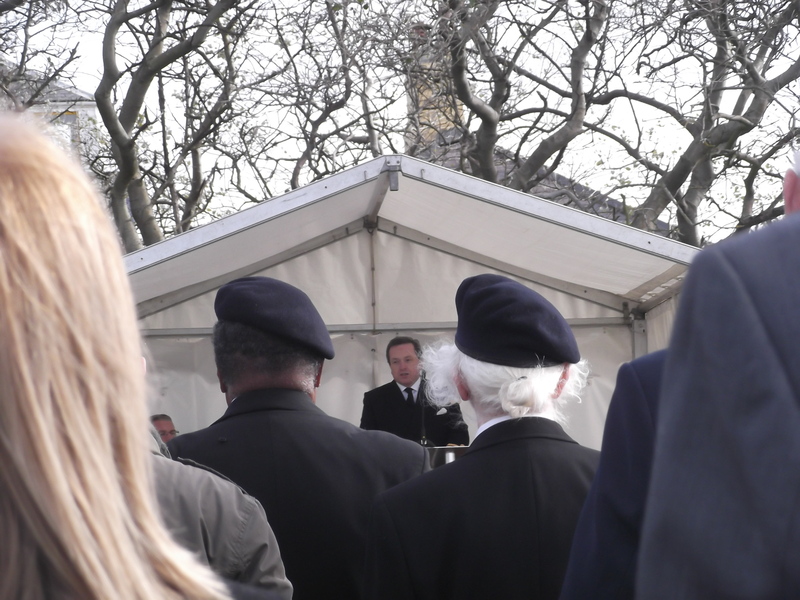 The speech this year was given by the Commanding Officer of HMS Collingwood. It’s a nice event as well as a moving one, and the organisers are very generous – not only do you get your drink for the toast, but you get lunch afterwards. 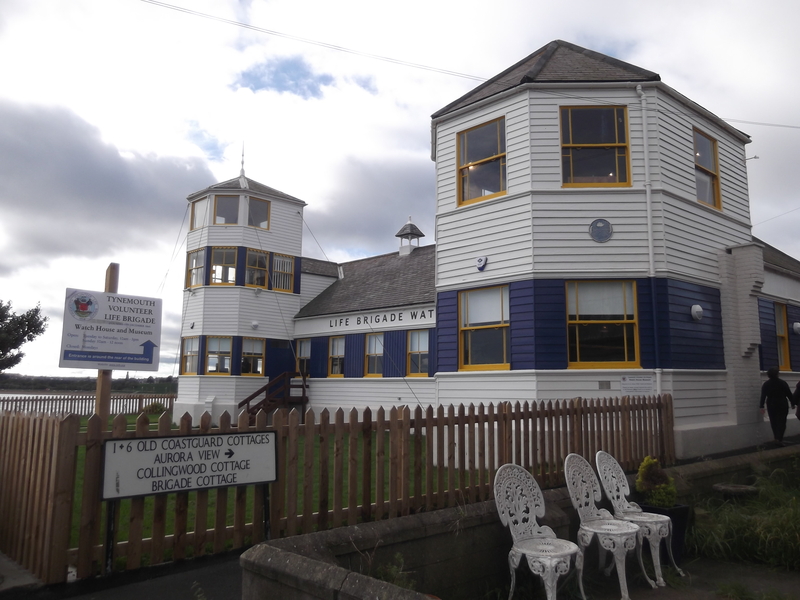 The watchhouse was looking very smart in its new paint. 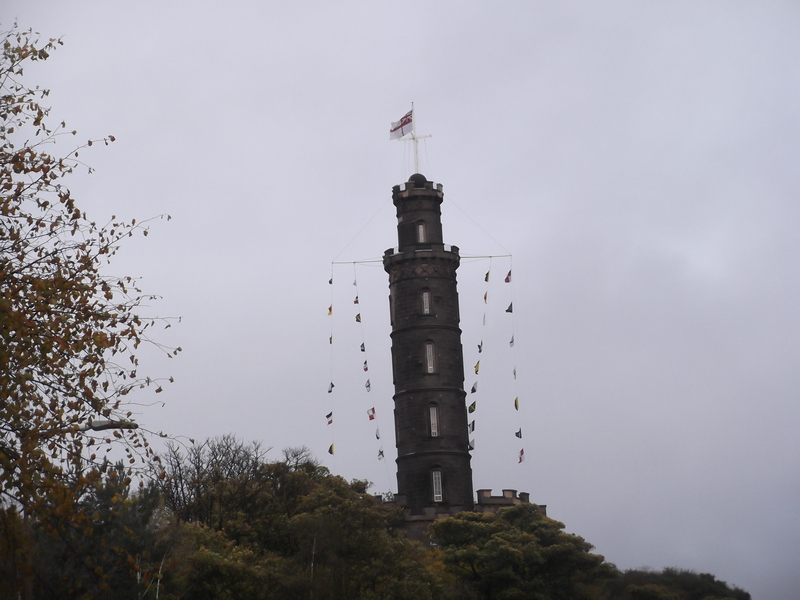 I went for a walk along the North Pier afterwards, in glorious sunshine, but I had to be back in Edinburgh before the evening – which did give me the chance to detour from Waverley to see the Nelson Monument flying the famous signal flags – it does this every year, but I somehow never knew that before. 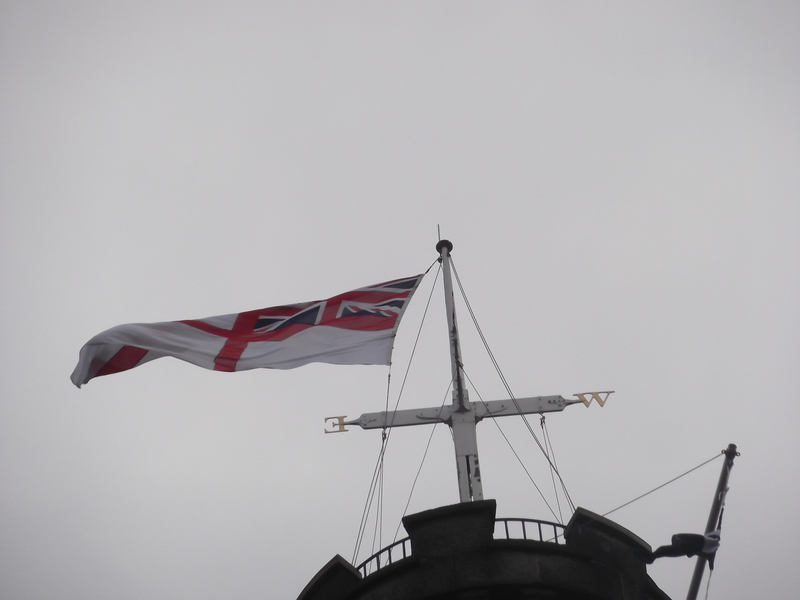 White ensign here. 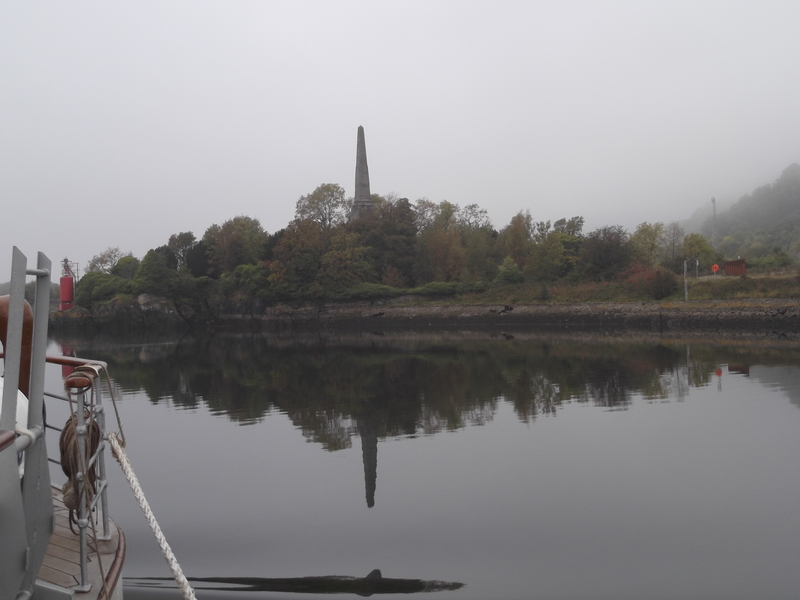 I have been a traitor to the age of sail this weekend – and, to be fair, all the time, because my first love as far as ships were concerned, and always first in my heart, is the paddle steamer Waverley. 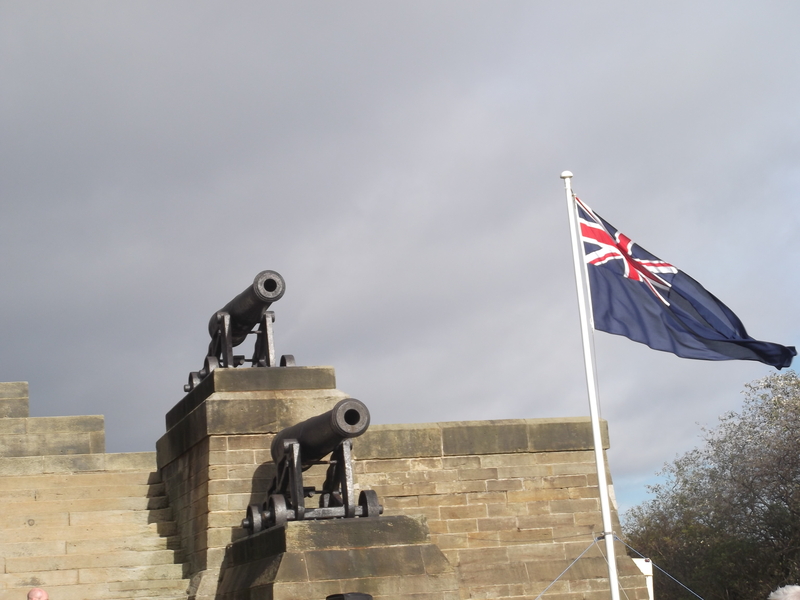 I was a Clyde steamer girl when I still thought the Napoleonic wars were just something for English people to get jingoistic about, like 1966! This is one of the places where steam started, and it goes a long way back. Going down the river towards Greenock, just after the mouth of the Forth and Clyde canal (built 1790, and possibly a story for another day) at Bowling, you pass a monument on the north bank to Henry Bell, who in 1812 launched the first commercial passenger steamboat service in Europe with the paddlesteamer Comet. In 1812, when all the great ships were sailing about. It has to happen that way, I suppose – unlike empires, inventions don’t wait for the previous one to start to crumble – but it does surprise me just how early it was. 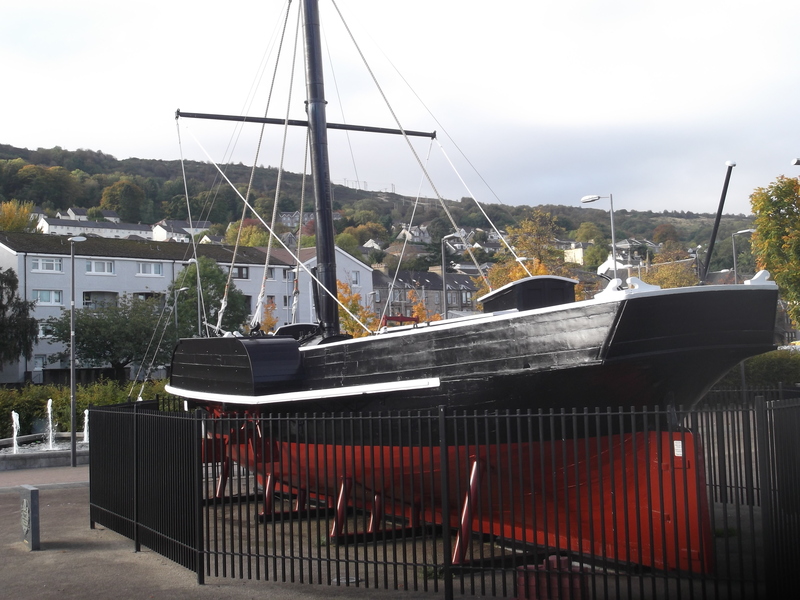 It was obviously the area for it, because an even earlier paddlesteamer, the Charlotte Dundas (named for the sister of the ‘real’ George Heneage Dundas, and presumably ‘the steamer that [Philip] Broke had seen on a Scotch canal during the peace’, in The Fortune of War) sailed on the Forth and Clyde canal. Even that wasn’t exactly the first – there had been earlier experiments in Scotland and in France, and even a commercial service in America – but it was definitely in at the beginning of the story. 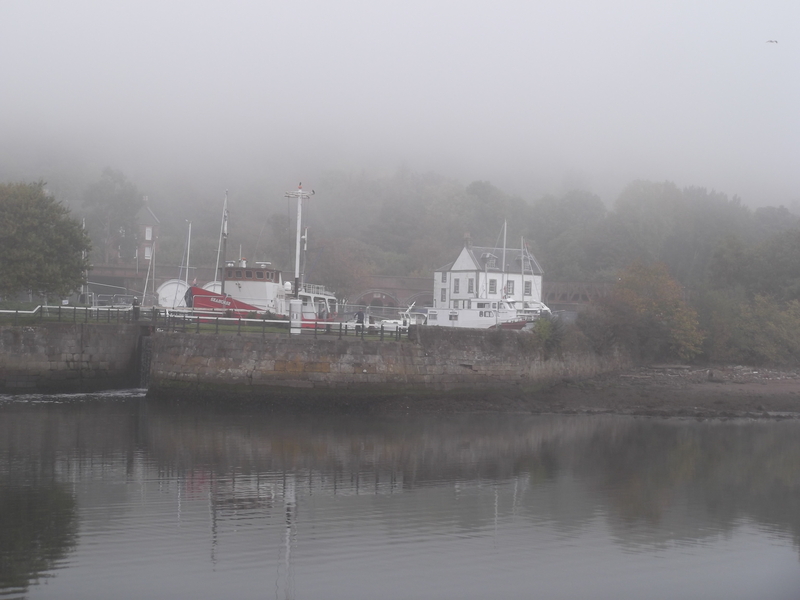 On Sunday morning I went down to meet Waverley at Greenock instead of Glasgow – it meant an extra half hour in bed, and that matters on a Sunday! It also meant that I could start off by taking the fast train down as far as Port Glasgow, where there’s a replica of the Comet which was built in 1962 to mark the 150th anniversary. The most surprising thing about it was the scale – I think of steamers as great big things, but this is the size of a smallish yacht, or the smallest local ferries and tour boats. 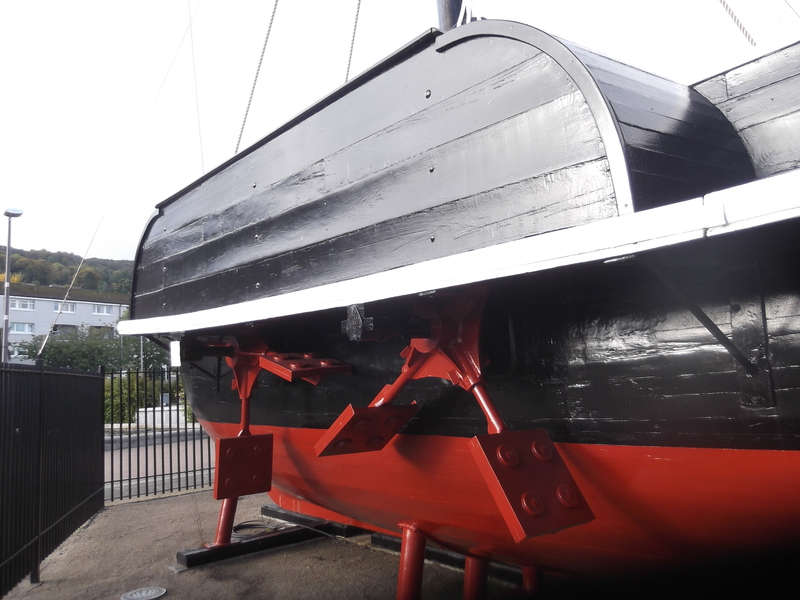 It has two paddle wheels on each side, which is unusual, but they’re not the efficient waterwheel type – they really are paddles. I also love the way that the funnel doubles as a mast – there really doesn’t seem to have been any concept that this would take over from sail, only that it was another useful thing to have. 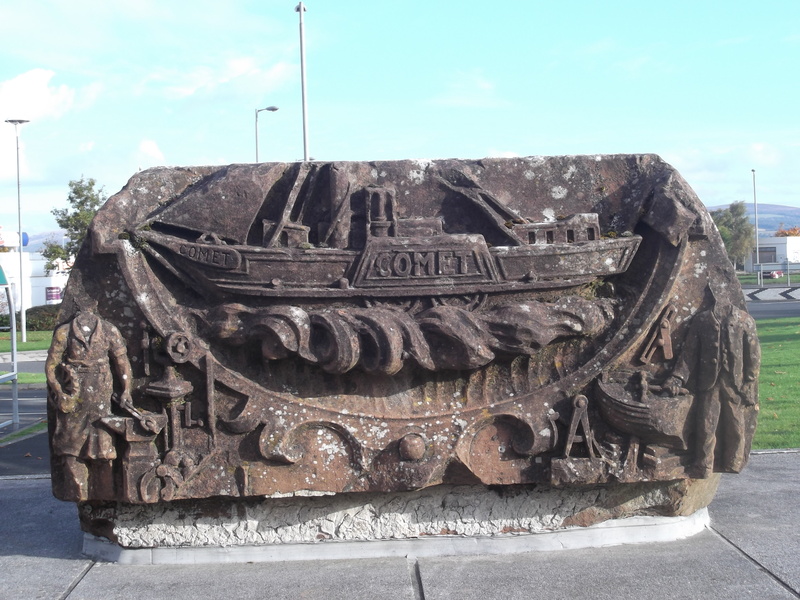 And within a decade there were steamers all over the Firth of Clyde – it’s amazing to think what came from here! It’s not Thursday, but I’m having a throwback anyway. But once you get past the Tweed you’re fine – every river mouth is a harbour. I always find it interesting to start looking at things another way round – long distance walking gave me a new appreciation of bridges and the way rivers affect where you can go, for example, that you don’t notice when the road just leads your car to wherever the bridge happens to be. 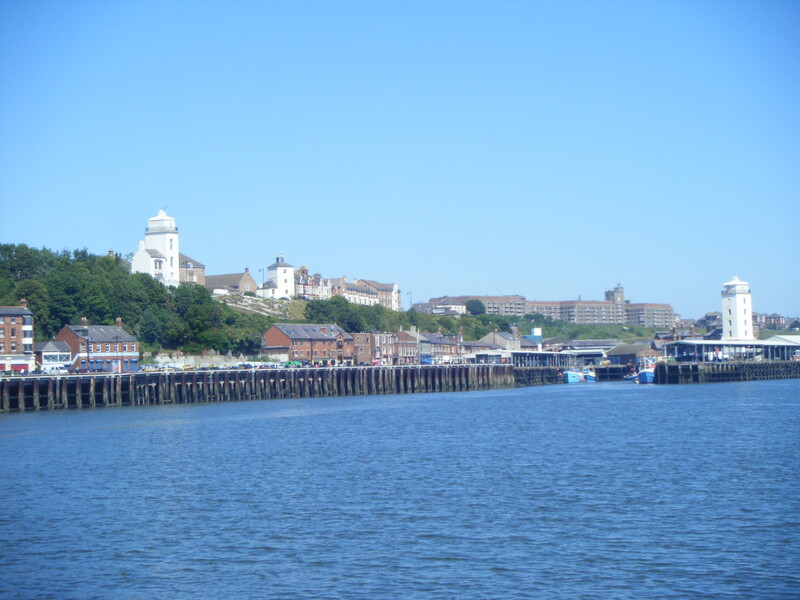 I’ve had quite a few adventures along the Tyne – walking by it on the Hadrian’s Wall path, pottering around the bridges, boat trips, ferry crossings, and especially standing at Tynemouth looking out over it. It’s one of my favourite places, and a very different river from anything Lothian has – a big working river. 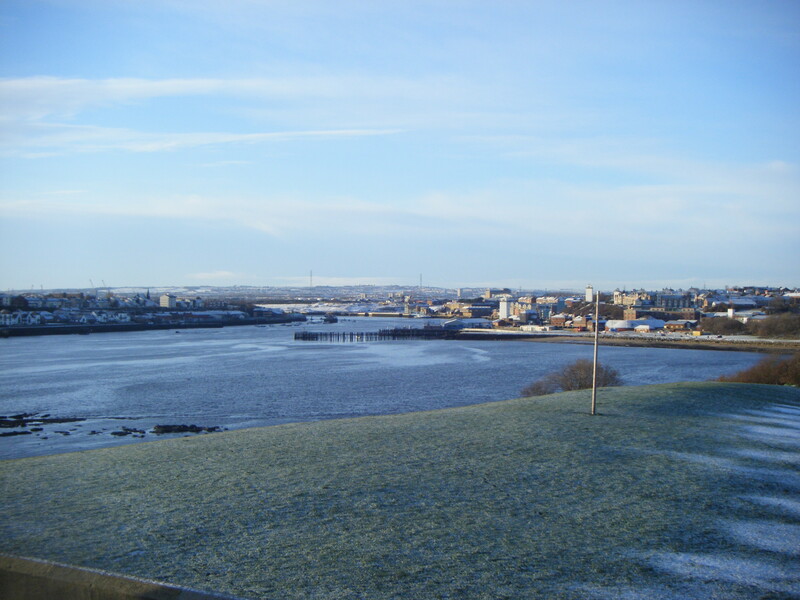 Here’s the mouth, the first time I visited it – looking out from the Collingwood monument on a winter’s day. 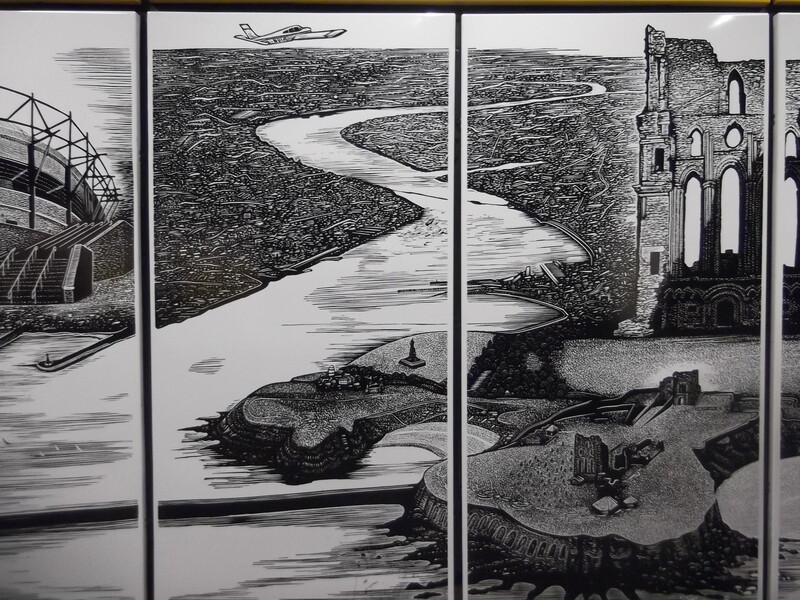 Apart from getting an idea of the size of it, you can just about see both the old and new High and Low lights – the white towers, and the less white ones near them – which were the markers to show the safe passage into the mouth of the river. It was a dangerous place in those days, and it was sadly common for ships to get into trouble at the mouth. Here’s a better look at the new lights and the old High light – although without the context of the river. It was 1810 when the ‘new’ lights were built, the safe route having shifted. 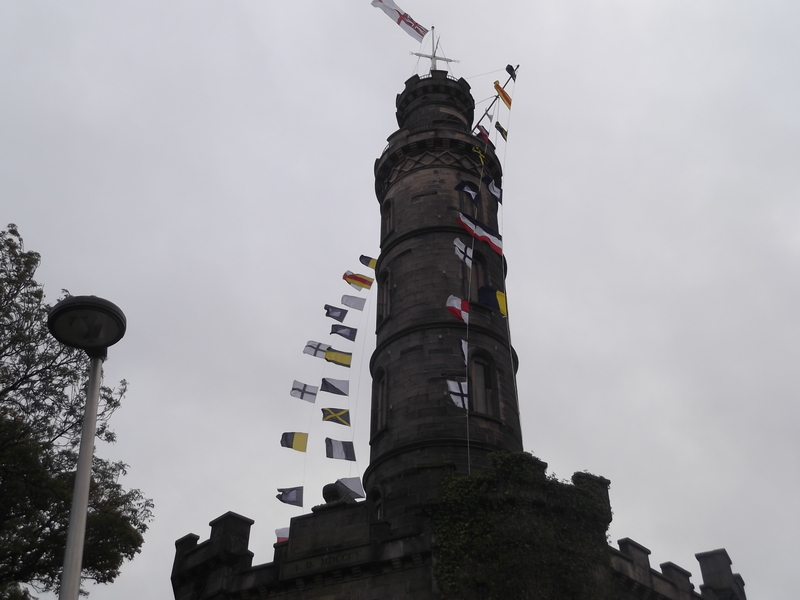 So new by Edinburgh standards – or very new by Newcastle standards, since the ‘new castle’ was built in 1080! 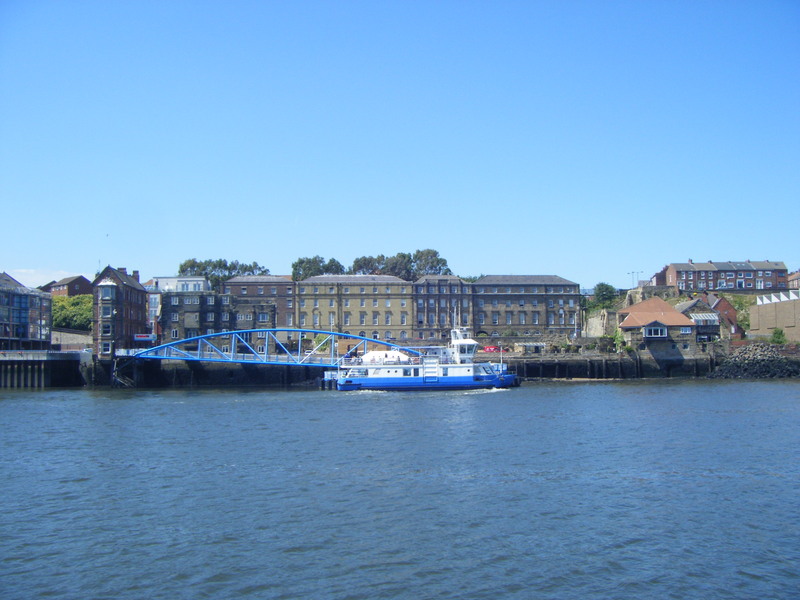 Although the mouth has changed much less than the mouth of the Water of Leith has, the piers are newer than the real Age of Sail time – mid-19th century, and an effort to make the river mouth safer. 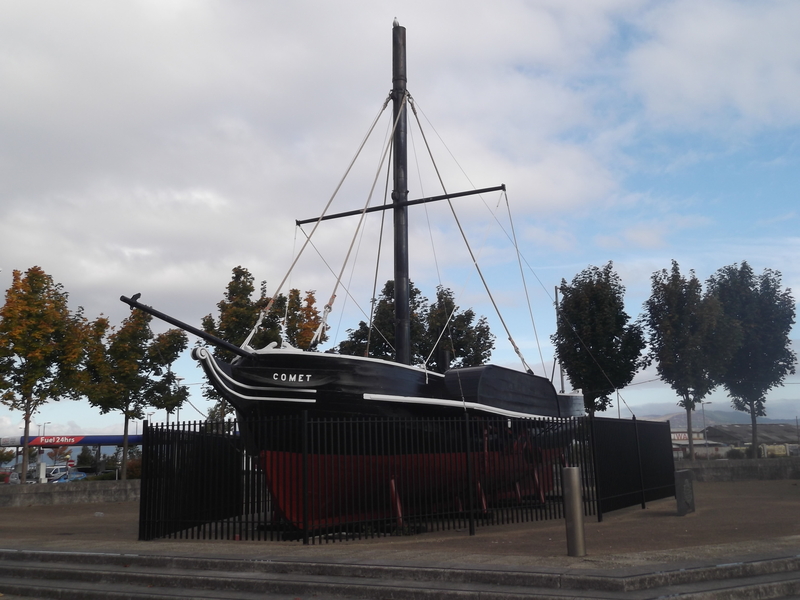 Unlike Leith, though, there was no need to build outwards for space – there always seems to have been plenty of that. As well as a wonderful history of the lights, the Old Low Light has a lovely map showing ships in harbour at both Shields – as well as being a nice illustration of how separate the river mouth was from Newcastle and Gateshead. 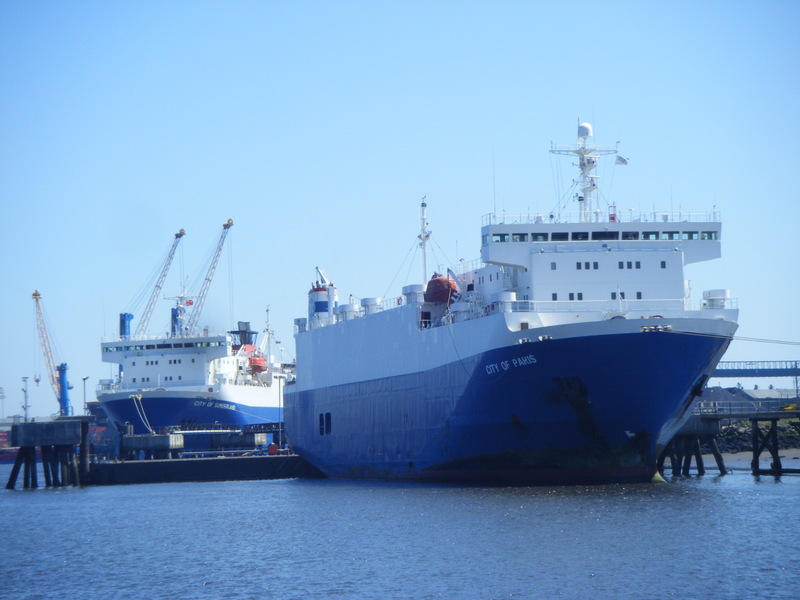 I was pleased to see that there were still some ships in the river when I took my boat trip – and impressed by the size of them. I liked this photo because of the City of Paris/Ville de Paris coincidence – but also the contrast between City of Paris and City of Sunderland as names! It’s been a useful means of transport, too – the keelmen who took the coal down the river to the waiting ships are famous. 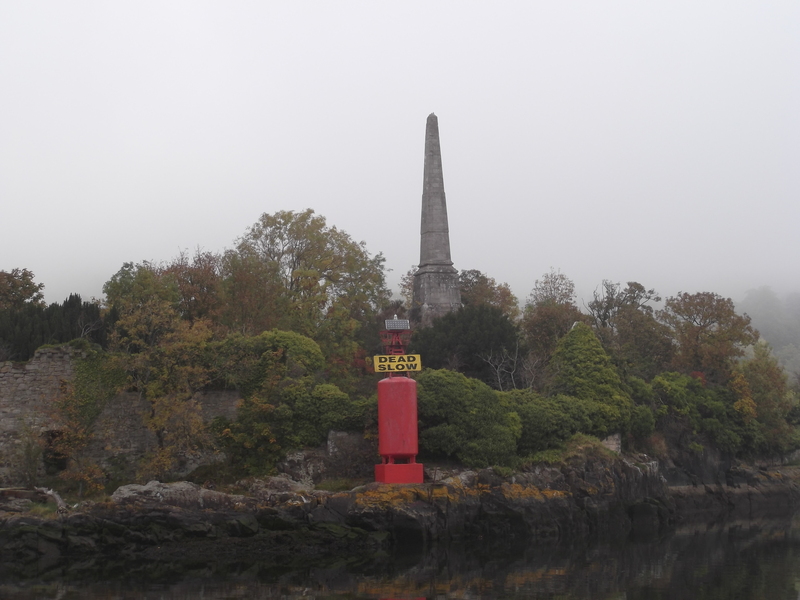 There’s one ferry left, between the two Shields – there’s been one there since 1377, but there were a lot more earlier on. So I suppose that’s the other side – rivers can be very useful to people who want to get along it, but they do get in the way of people who want to get across! I’ll be down there next week, and I’m looking forward to it. 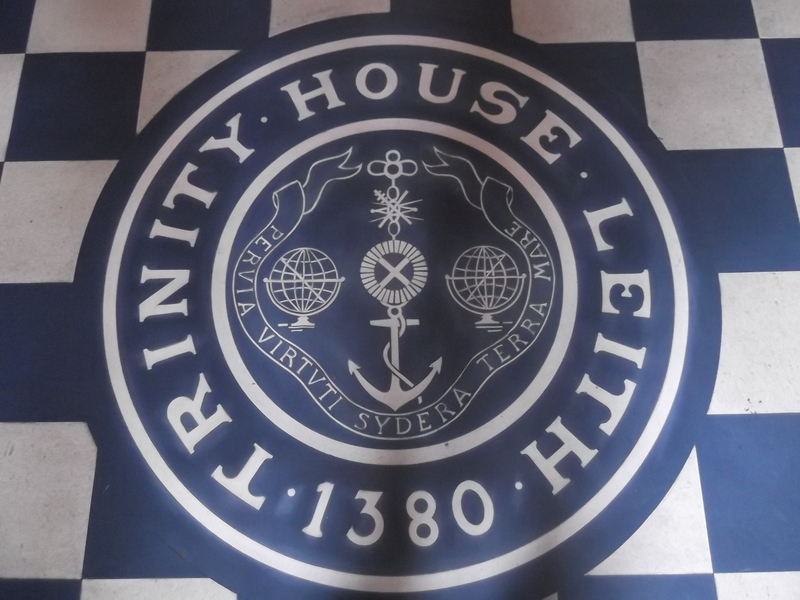 The first place I wanted to go to was Trinity House – since I’ve been quite often to the Newcastle one. It’s a lovely Georgian building (1816), and they have a small nautical museum upstairs, but it was mainly too recent for me – WW1 rather than Napoleonic! Here’s one of the AoS things: Admiral Duncan overseeing everything! 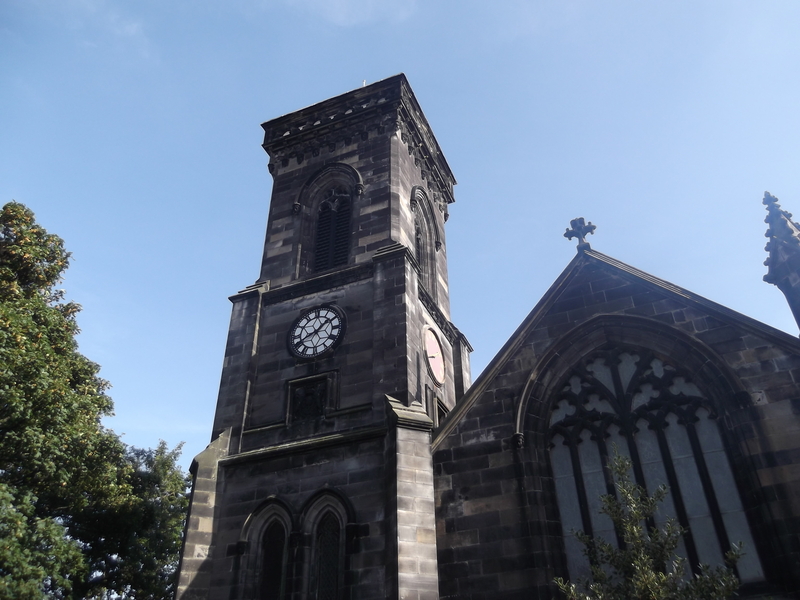 On the other side of the road is South Leith Parish Church – it’s interesting that the road they stand on is now a small pedestrian one, but must have been the main road once. 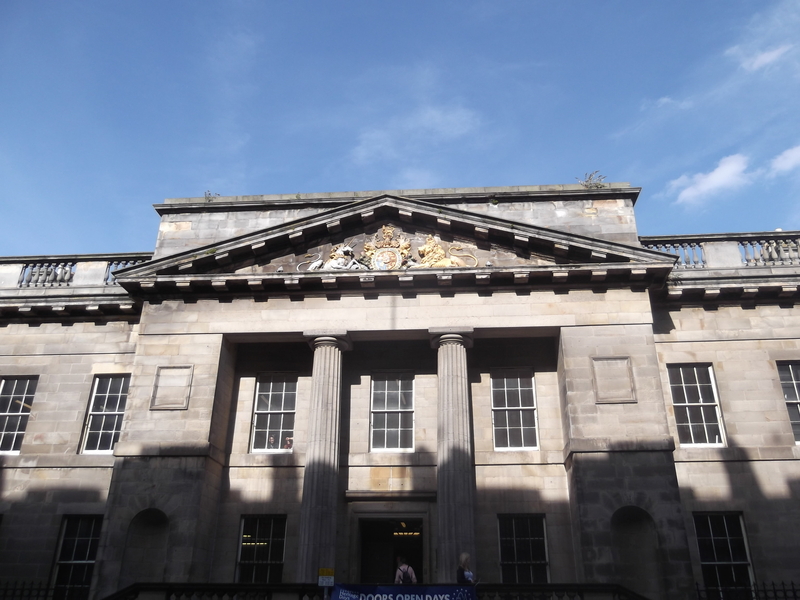 The next place I went to was the old Customs House – another beautiful Georgian building (1812), but basically standing empty while they decide what to do with it. Its site is another interesting look at how the shape of Leith has changed – when it was first built, there would have been nothing between it and the sea except the first new docks, now filled in – the site is roughly between the wet dock and the ‘h’ of harbour on the map below. There’s more about the construction of Leith Docks at the Georgian Edinburgh blog – it’s interesting to see how the harbour developed. 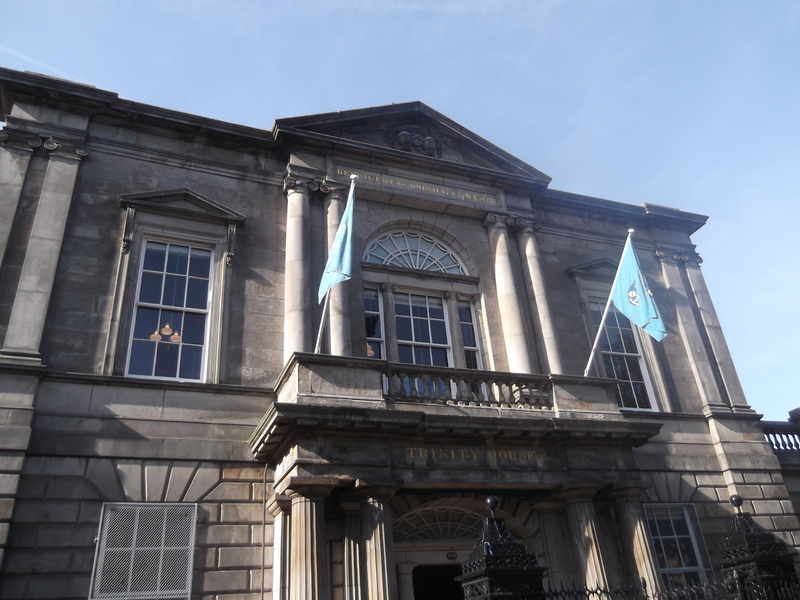 Leith has obviously been very important to Scottish history, but it doesn’t seem to come into AoS stories – real or fictional – very much. Can anyone think of any examples?